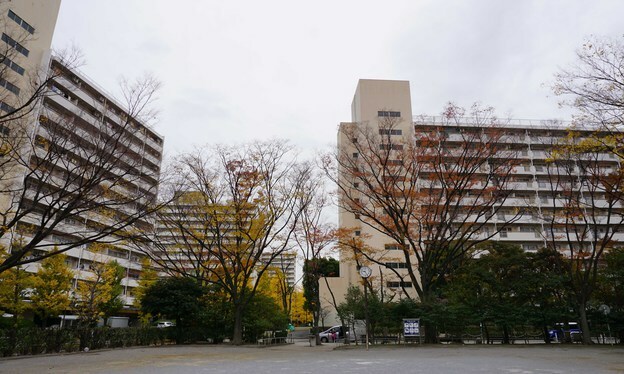 Takashimadaira Housing Complex was built during 1970s and is regarded as a typical representative of Danchi in Tokyo. Presently, TKD Housing Complex is facing the significant aging issue, as well as how to attract younger families to live here. 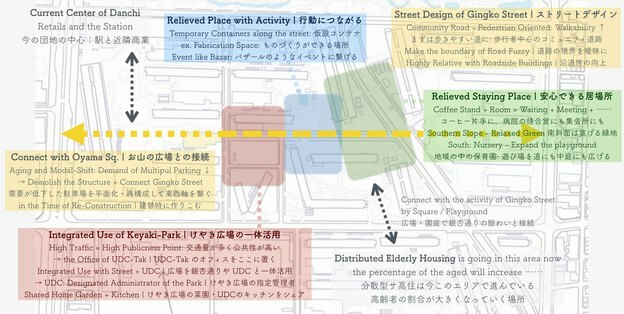 After detailed survey and observation, including counting, mapping and tracing, we found that: 1) there was an unbalanced distribution of activity and vitality here, most activities happening in Oyama Square which was surrounded by commercial area, and in playgrounds for children in the east which was surrounded by nurseries; 2) there were many people and vehicles coming towards and from TKD Station and passing by Gingko road, but almost without stay. 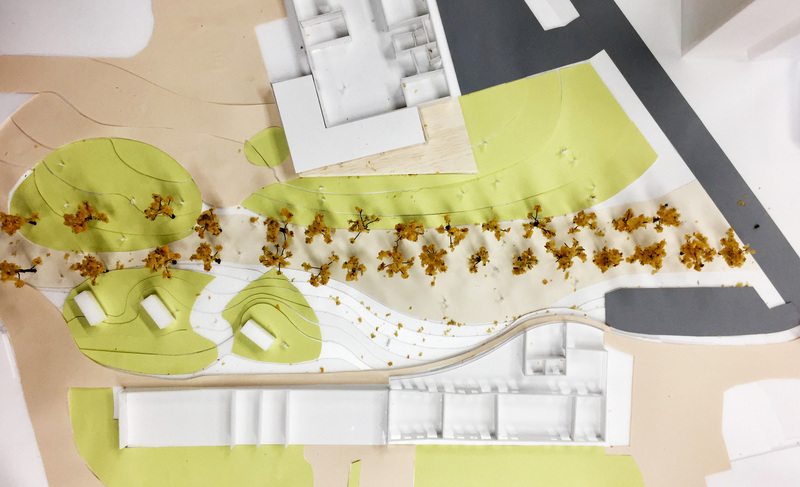 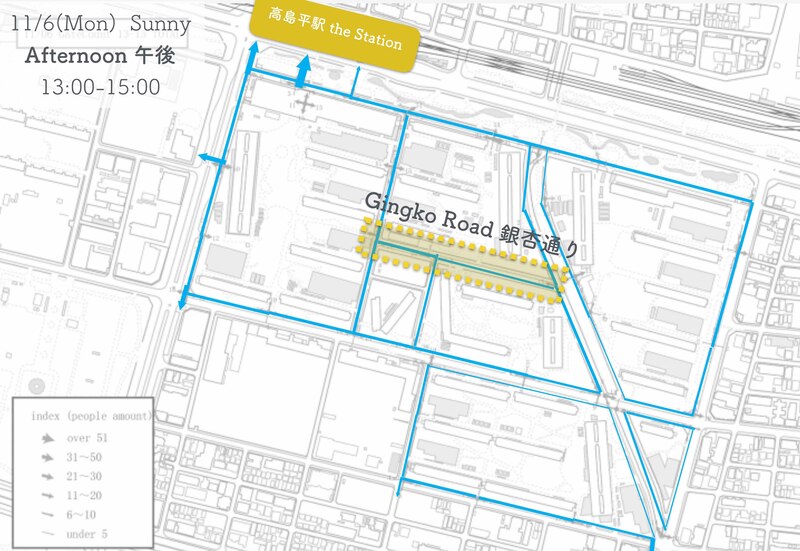 Therefore, we discussed and concluded that: 1) it was important to create different characteristic for different public space; 2) it was important to take advantage of large numbers of users along Gingko Road. 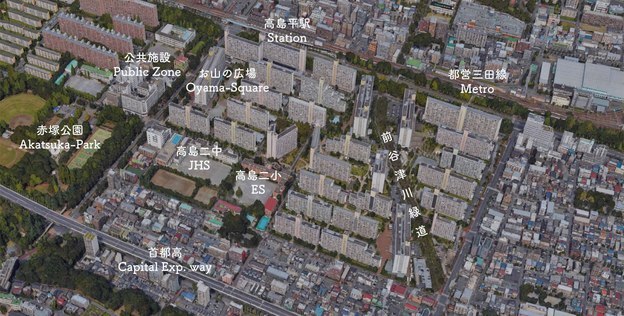 Also, we proposed our targets for 3 different periods. 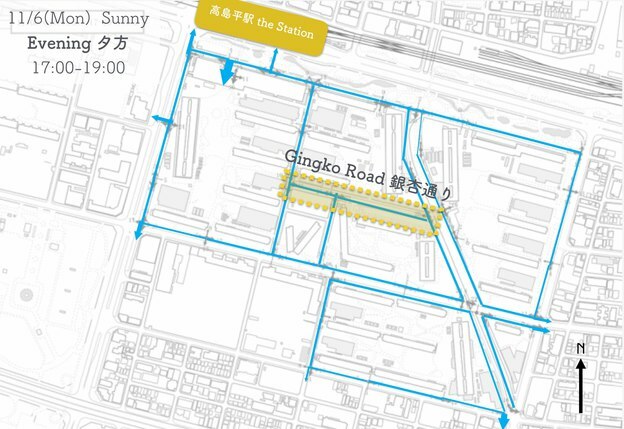 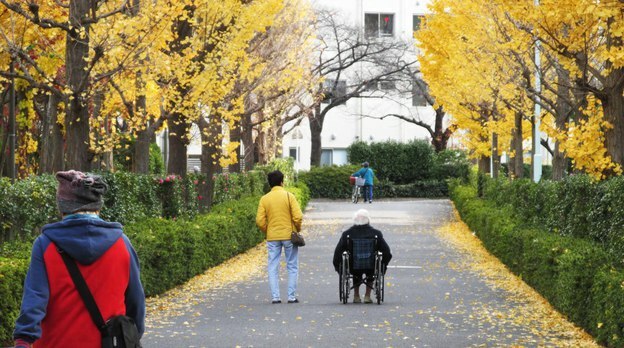 For the short term, we decided to focus on Gingko Road since it was an important west-east connection in the Danchi with great potential of the beautiful gingko trees along it. The core concept is to change the Road to Street. We hope our design can improve its connectivity, create more shared space and change the lifestyle in this Danchi.